I could leave a detailed review, but I'll keep it simple with: This has to be the best AGS non-adventure game of all time! Probably the best non-adventure game made in AGS. It proves that AGS is a versatile engine, and that everything is possible in AGS. Also, retro graphics by Jim Reed are outstanding. AprilSkies surprised everybody with this one. 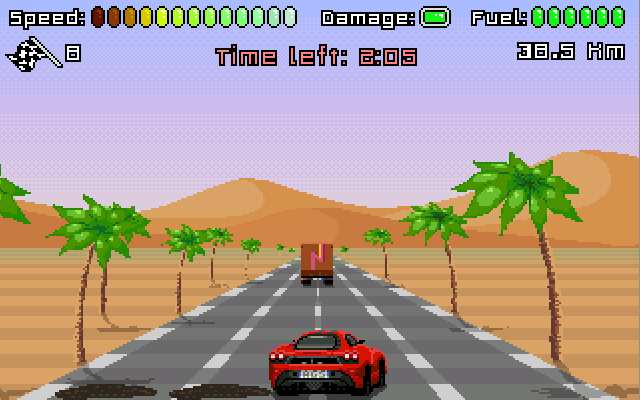 Outrun on AGS? Yeah, right! But she pulled it off (in a month!) and delivered a extraordinaire piece of software: smooth, polished and feeling very pro material. Pixel art at its best, super cool arcade soundtrack and the AGS engine running a racer game like a breeze. Congrats to all the team, games like this showcase the engine potential and versatility. Well done! I am very impressed and curious about you did that with AGS !! very great work !! Great fun. I want to play this in a proper unit at the arcades. 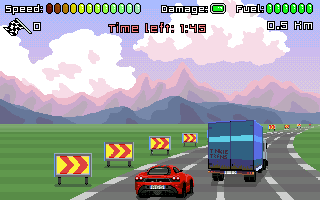 Superb pixel art, polished gameplay, addictive as hell! Thoroughly enjoyed this game from testing it. 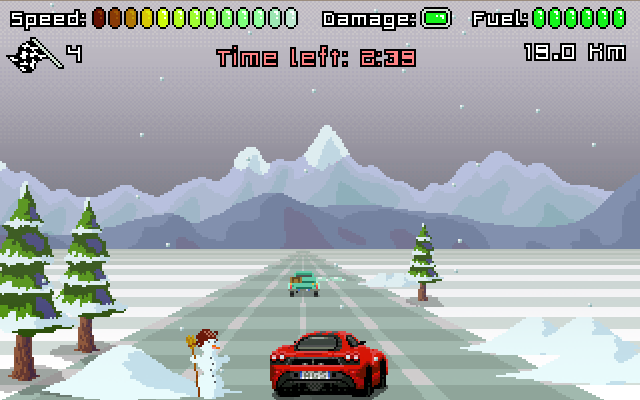 Beautiful graphics and lovely retro vibe.